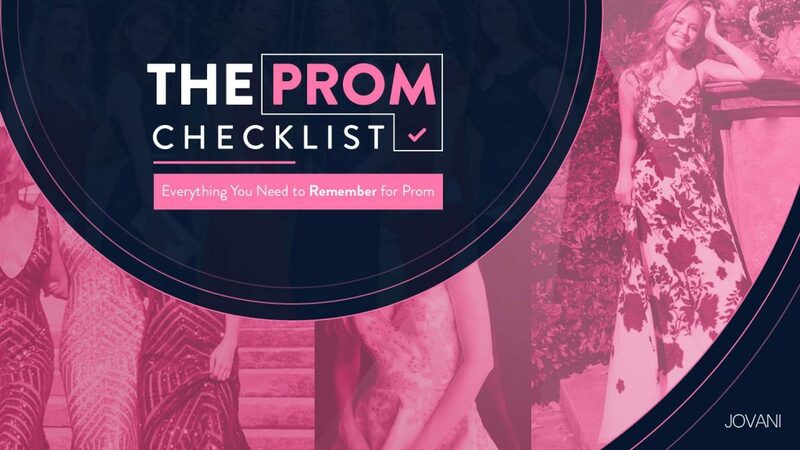 When it comes to prom any girl can wear white, but there are some tricks to do it correctly, you wouldn’t want to look like you are going to get married. Jovani will teach you to be extra careful when choosing a white prom dress because it can make your skin look dull or yellowish wearing the wrong tone. However, using white prom dresses is not limited to choosing the correct tone; you also have to consider what you will wear under and above the dress, and we will show you how. Although anyone can use white, combining your unique skin tone with the right shade of white can help you look your style even better. If white makes your skin look dull, gray or yellowish, you may be using the wrong tone. White prom dresses come in all kinds of materials, from casual linens and cotton to crepes and heavier wools. Although a white and fluid maxi dress would look fantastic in your prom party making you look unique. Choose a simple bra and underwear without any lace, bead decoration or any other decoration. Combine the color with your skin tone as much as you can. Avoid using different colors, including white. The colors, patterns, and textures will be visible under the dress. Put your hand in the dress. If you can see it, then you will need to wear a white petticoat with the dress. Choose a simple petticoat that is a few centimeters or inches shorter than the dress. Even if you are going to wear skin-colored underwear, a transparent dress will still show your figure too much. A petticoat will help make everything look more fluid in your prom dress. Go big and be bold with color. White prom dresses are a blank canvas and a good excuse to add virtually any color you want to your outfit. The red heels are a classic combination, and you can complete the style with a wide belt, lipstick or a red handbag. If red is not your style, try better with the emerald green color. A cool blue is also another option, but it might be advisable to avoid stripes unless you are going for a nautical style. Try metallic colors to give it a glamorous touch. Silver or gold heels are an excellent choice for white prom dresses. For a nighttime style, try some strappy sandals. For a daytime style, try something daring, such as booties. You can also try copper, bronze or any other metallic tone, such as pearl. Try the strappy sandals with heels. These work with both long maxi dresses and short dresses at thigh height. For a night style, try a metallic tone, such as silver or gold. You can also give your attire a bohemian look with leather gladiator sandals. These look good, especially with the looser tunic dresses. Opt for something neutral tan or leather. The leather is a beautiful combination with white. Combined with a loose and flowing dress, you can give your outfit a carefree and bohemian style perfect for summer. If you want to look extremely formal in your prom night, you can try a tan or beige suede studs instead. Red is a classic combination of white dresses. Complete the style with a wide belt, lipstick or a red handbag. If red is not your style, try the emerald green color. A cool blue is also another option, but it might be advisable to avoid stripes unless you’re going for a nautical style. Try other types of flashy jewelry: If bulky large bulky necklaces are not your style, you can use other accessories. Long and chain diamonds are a good choice. You can also try a pair of candelabra bracelets or earrings. You can even stack different types of bracelets that combine to create a unique style! Opt for metal accessories: Like shoes, you can not go wrong with a silver belt or a golden handbag. However, if you are already wearing metal shoes, you must combine the color of the accessory with the shoe. For example, if you are going to wear golden sandals, you should wear a golden belt, not a silver one. Be bold with thick and wide belts and handbags: You can not go wrong with a deep red, blue or pink strap. Complete the outfit with a matching clutch. This will help get rid of the monochrome and add a touch of color to the outfit. It is excellent if you want something subtle without appearing too dull or routine. Match your dress with other clothes: White dresses may look a bit simple, but you can make your outfit stand out by placing other clothes on top in layers. You can use a solid color or even a printed one, make sure it matches the style of the dress. Put on a scarf or a tiara that matches. If you have already put on a pair of shoes, a belt, a purse and still feel something is missing, try adding a tiara or a silk scarf. Combine the white dresses with black shoes carefully: Black and white are a classic combination but can look very crude and austere. It is better to leave it for formal or nocturnal events. If you want to try on black shoes, try on a pair of low black boots with a summer dress. Balance the style with a handbag, a bracelet or a black belt.